Gloucester Twp., NJ) – Finding a furry friend has never been easier, thanks to the Camden County Animal Shelter’s (CCAS) new and improved website. 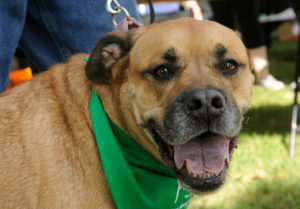 The new site was rolled out this month and includes new features that make pet adoption as easy as online shopping. Among the new features is an enhanced online adoption listing of pets that includes their ages, breeds, and more complete descriptions. Users will also find an updated calendar of the shelter’s events which now highlights the “who, what, when, where, and why” of everything the shelter has planned. In addition to resources that help owners adopt, the CCAS’ new website also includes new information on how to become a volunteer, and an enhanced donation feature for those who wish to directly. The site now allows donors to give directly online, provides information on donating through other means, and gives details on legacy giving, the shelter’s medical fund, and more. This year more than 2,000 pets have been adopted from the CCAS, and the clinic has provided nearly as many surgeries. Adopting, volunteering, and donating have never been easier thanks to the new and improved website. For more information, and to see all the new features for yourself, visit www.ccasnj.org.